We now have a simple contact database importer currently available for Yahoo!/Verizon/AT&T. No need to export your database, just import it directly from your OutboundEngine account! 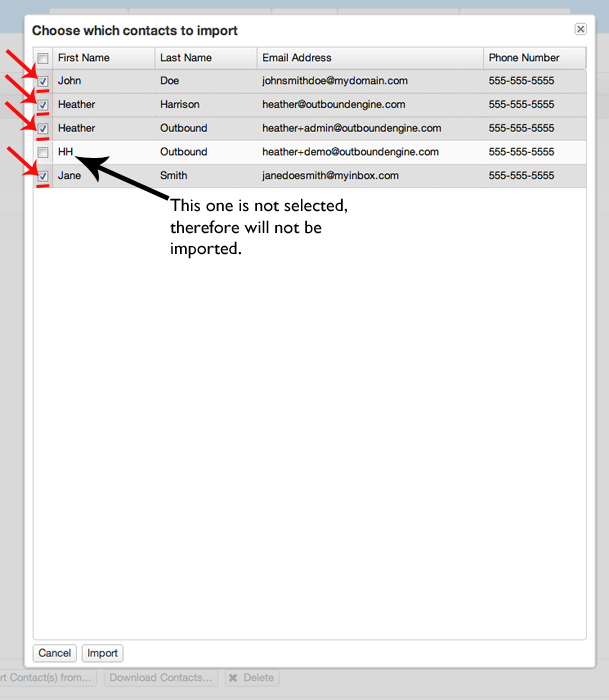 Login to app.outboundengine.com and click on the Contacts tab. Click on the Yahoo!, Verizon or AT&T logo and a new window will open. It will prompt you to login to your Yahoo! account (if you are not already logged in). If you are using AT&T or Verizon, login to Yahoo! with those credentials. Click the yellow Agree button. Paste the code into the Yahoo Verifier Code field and click Connect. Next you are able to select the contacts to import. 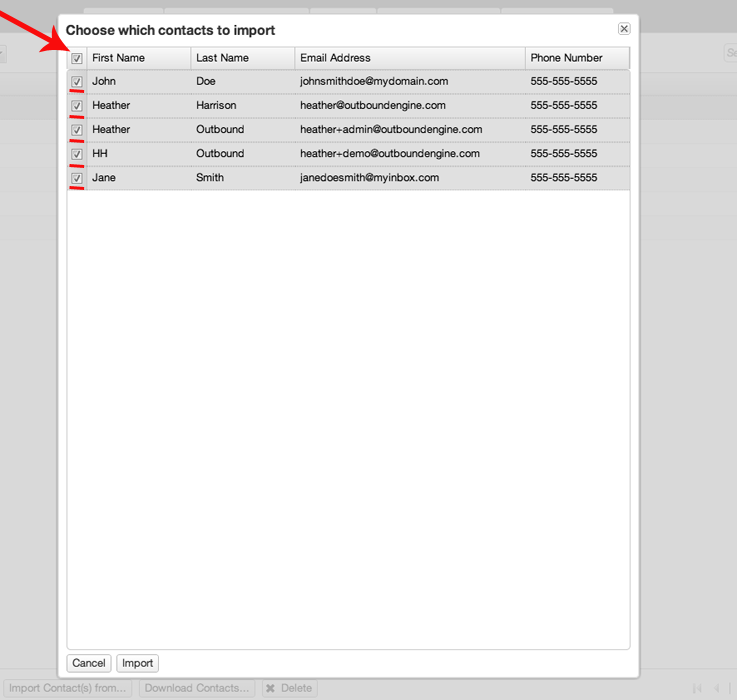 You can either select the box at the top right which will select all contacts for import (click the box again to undo). You can click the box next to each individual contact to be more selective. Once you have made your selections, click Import. Then click OK from the Success window and you are done.